A Laois inter county player has suffered serious head injuries in an assault in Carlow on Sunday night. Daniel O'Reilly, who is in his early 20s, was attacked in the Potato Market area following a night out. He suffered multiple fractures to his skull and was brought to St Luke's Hospital where his condition was described as serious but stable. "Danny is stable at the moment but still fairly unwell," a Laois GAA source told Independent.ie. "He has a good few injuries, the exact extent of them I don't know, but he'll remain in Kilkenny hospital for the time being. "He's in and out of consciousness and the family are naturally very concerned about him. We just hope he's out of danger." "It's a very unfortunate incident and my heart goes out to all his friends and family," said Cllr Tom Mulhall. "Any young lad is entitled to be out at 1am in the morning but no one has the right to just randomly assault someone. "I wish he makes a speedy recovery and that we'll see him back on the playing fields sooner rather than later." Independent.ie understands the player was randomly attacked, fell and hit his head off the pavement after one punch as he was getting a taxi. "Gardaí in Carlow attended the scene of an incident at the Potato Market, Carlow on the 2/4/2018," read a Garda statement. "A male in his early 20s sustained serious head injuries during an altercation involving a number of people shortly after 1am. The injured man was removed to St. Luke's General Hospital, Kilkenny where his condition is understood to be serious. "Gardaí in Carlow are appealing for witnesses to contact them on 059-9136620 or the Garda Confidential Line 1800 666 111. 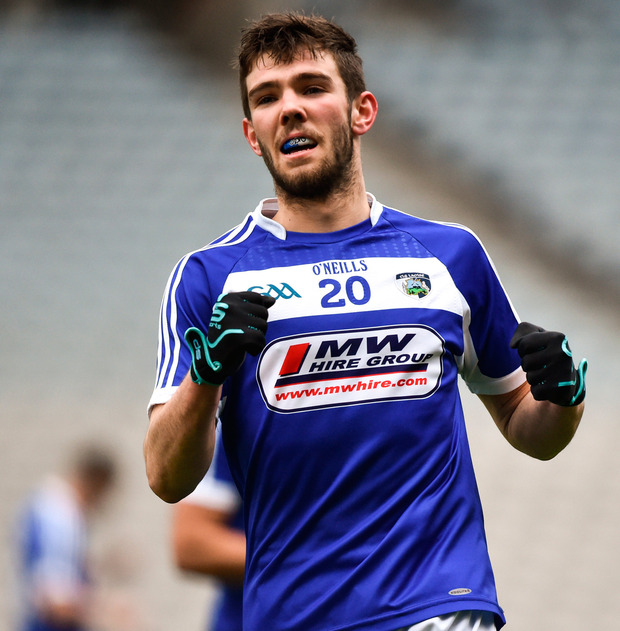 Laois beat Carlow to win the Allianz League Division Four final on Saturday in Croke Park.